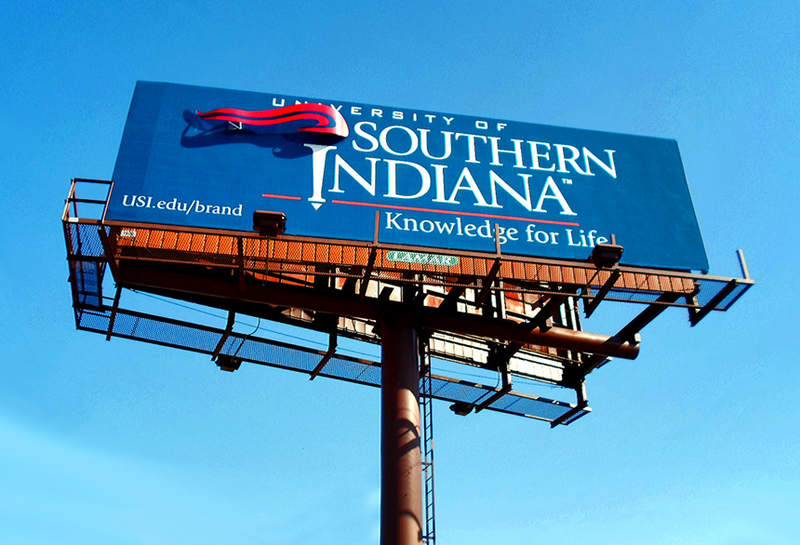 The University of Southern Indiana (USI) used a bulletin billboard to reinforce their brand in Evansville, IN. The billboard design featured a 3D embellishment to make their new academic logo stand out. They also pointed consumers to a webpage where they could learn more about the USI brand.